Brace yourselves, people. OVO season is upon us. With an endorsement deal from Apple, a diss track that became the song of the summer, and one of the top-selling albums of 2015, it seems like Drake is about to post up on his throne and be crowned king of hip-hop… if, that is, Views from the 6 lives up to the hype. If You’re Reading This It’s Too Late was stacked with hits, proving Drake’s ability to craft addictive rap songs for days. But as a powerful entity who’s at the forefront of hip-hop culture in the digital age, Drake can (and should) surpass expectations with Views. We’re hoping this means that Drake will bring some outside perspectives onto the project, keeping things fresh and fully taking advantage of his resources. We know he has lots of famous friends (check his Instagram if you had any doubts) and has mastered the art of the little-guy cosign, so fingers crossed he’s hopped in the booth with a few of them along the way. Who do you think made the cut? Here are our best guesses. Drake has been messing with the Prime crew for a minute. The Toronto collective’s resident producer, Eric Dingus (who’s actually from Texas) was a guest DJ on OVO Radio’s first show, and has gotten the co-sign from Drake’s manager Oliver on multiple occasions. Jimmy Prime, a rapper in the group, coined the nickname for Toronto that Drake later dignified: “The 6.” Drake even attended Jimmy Prime’s VIP event at Stussy Toronto last year. Drake and the Prime boys have clearly been playing nice as of late, so it’s likely the Toronto neighbors have all hopped in the studio at some point along the way. Everybody loves the Smiths. Arguably the most talented set of siblings under 18 in the biz right now, all eyes are on Willow and Jaden—even Drake’s. A couple months back, he hit Instagram with a picture of Willow while the two were together in London. Not long after, Willow blessed the ‘Gram with another clue: a snapshot of Abbey Road Studios with a Japanese caption, roughly translated to “Of the day on the legend and night.” A Drake and Willow collab would undoubtedly be fire, but even more legendary would be if the whole Smith family hopped on a track—like a whole squad cypher, with Jada on the backup vocals. Goals. Roy Wood$ is one of those infrequent gems I happened upon while on a late-night trek through the depths of Soundcloud, He had one track posted, “I Got,” and his location, Toronto, was the only information he shared on his profile. Almost a year and a few uploaded tracks later, Drake got on one of his songs, “Drama,” seemingly out of the blue. 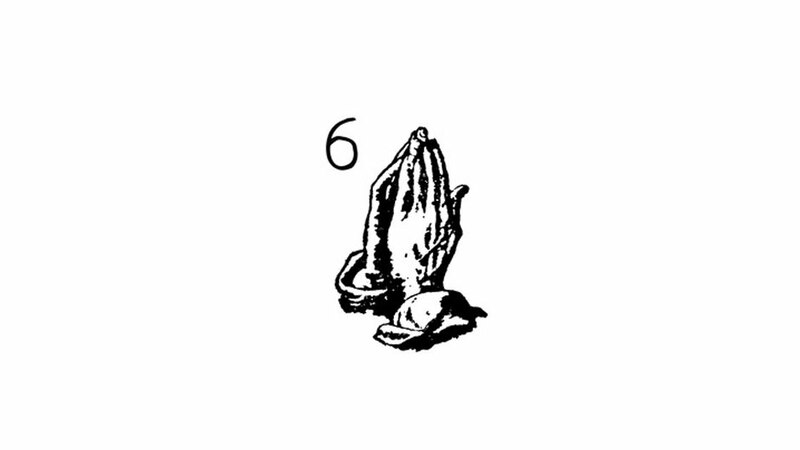 Now, he’s the latest addition to the OVO roster, and we wouldn’t be surprised to see his name on Views from the 6. For a while now, Drizzy’s been knee-deep in grime culture, and he might be Skepta’s number 1 fan. Aside from publicly endorsing anything and everything the UK emcee does, Drake also pulled a line from one of Skepta’s songs in “Used To,” took the stage with him at Wireless Festival, and occasionally sports “Lukey World” t-shirts. Most recently, the two hopped on a remix of Wizkid’s “Ojuelegba,” proving they have chemistry in the booth. Fingers crossed we get more from the international duo on Views. FBGOVO has becoming more and more prevalent as of late, especially with Drake hopping on a track off Future’s latest album. They did a quick string of shows together earlier this year, and now, whether it’s performing on stage at Hot 107.9’s Birthday Bash concert or kicking it in the club in Atlanta, the two rappers have really been chumming it up lately. Drake even blessed Future Hendrix with head-to-toe OVO gear, and maybe he’ll bless us with a feature from the ATL rapper on his forthcoming project. At this point, Bryson Tiller needs little introduction. Tiller has made it onto the @champagnepapi landing page, resulting in tons of speculation regarding a Tiller recruitment onto the OVO team. Though he’s already signed to RCA, his fluid hybridity that marries rap and R&B would mesh seamlessly with the collective’s existing catalogue. Regardless, Drake has certainly been messing with the boy in some capacity, so hopefully that means the two cooked us up some magic on Views.